If you are looking for something filling, juicy and a bit greasy to fill your sandwiches, look no further than cauliflower ‘steaks.’ But don’t worry, this delicious plant-based version of the traditional meat steaks doesn’t look or taste at all like animal meat. First we grilled the ‘steaks’ — or slabs if you prefer — with a sauce until golden brown and crisp and while they cooked, made a Mexican-style creamy guacamole to go with it. 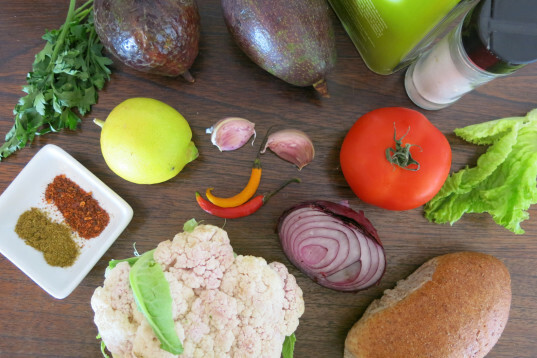 When the cauliflower and hot green dip were both ready, we opened wide a roll of warm brown bread and filled the sandwich with added fresh lettuce leaves and red hot chili sauce, for an extra kick. This mouth-watering recipe works wonders as a picnic treat or if you are too busy at work one day, you can have them right at your desk. Viva México! 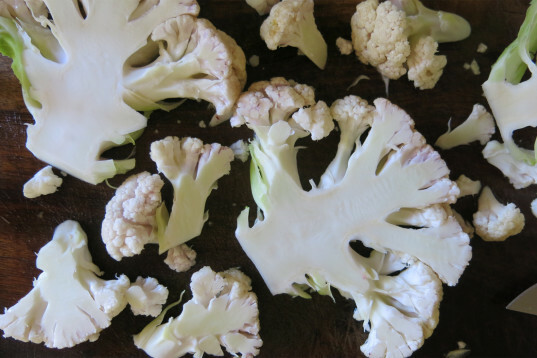 Wash, rinse, remove the outer leaves from cauliflower and trim the stem. Cut it into 1-inch thick slabs starting at the center, as well as any florets that break off in the process. Grill on a medium-high heat (400 °F) for about 5 minutes on each side. 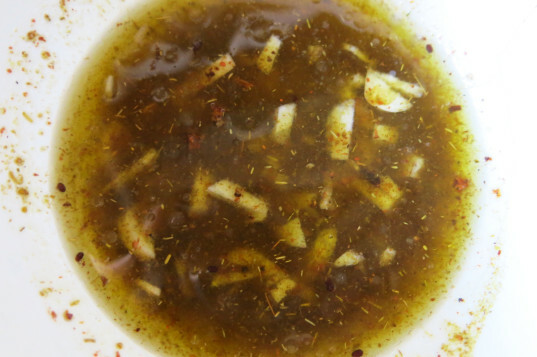 While they cook, place extra virgin olive oil, lemon juice, a chopped garlic clove, cumin, chili pepper flakes and marine salt to taste in a bowl and stir. 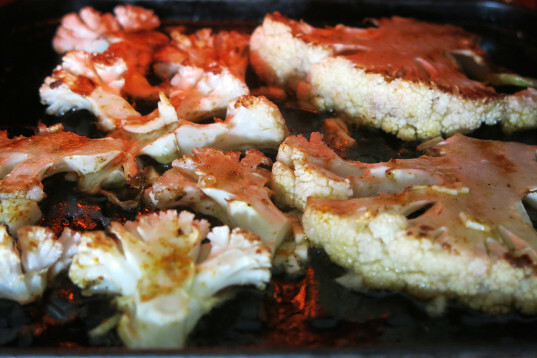 Coat the cauliflower pieces with the sauce and grill again for about 2 minutes on each side. 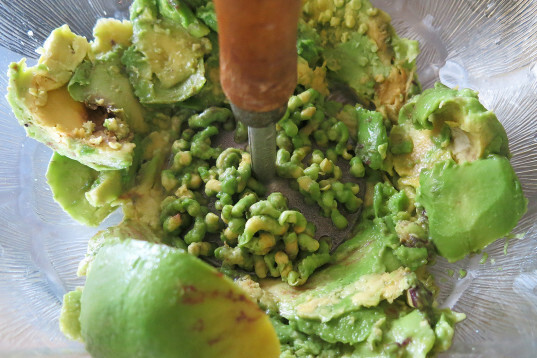 While the cauliflower roasts, make the guacamole by first mashing the avocado with a fork or potato masher. 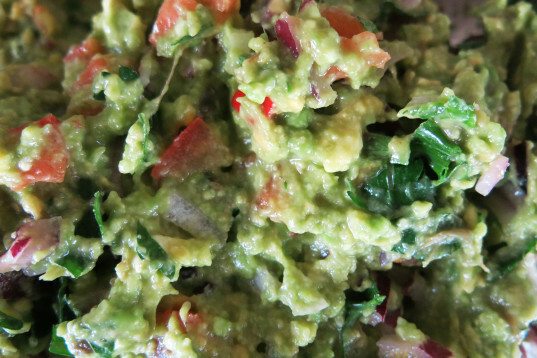 In a large bowl, mix the mashed avocado, cilantro, lemon juice, diced tomato, chopped onion, sliced jalapeño and marine salt. Mix well. Slice the rolls and stuff with the guacamole, cauliflower ‘steaks,’lettuce and hot sauce to taste. 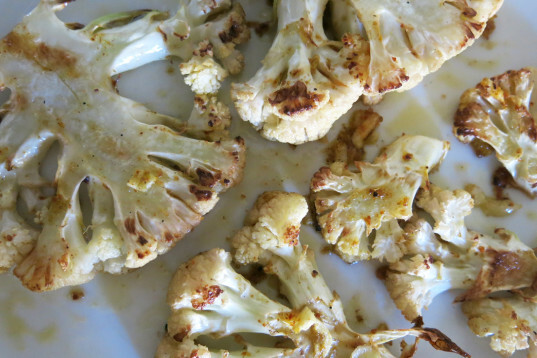 If you are looking for something filling, juicy and a bit greasy to fill your sandwiches, look no further than cauliflower 'steaks.' But don't worry, this delicious plant-based version of the traditional meat steaks doesn't look or taste at all like animal meat. First we grilled the 'steaks' -- or slabs if you prefer -- with a sauce until golden brown and crisp and while they cooked, made a Mexican-style creamy guacamole to go with it. When the cauliflower and hot green dip were both ready, we opened wide a roll of warm brown bread and filled the sandwich with added fresh lettuce leaves and red hot chili sauce, for an extra kick. This mouth-watering recipe works wonders as a picnic treat or if you are too busy at work one day, you can have them right at your desk. Viva México! Slice the rolls and stuff with the guacamole, cauliflower 'steaks,' lettuce and hot sauce to taste.